It is with great excitement today that I can announce our online shop is OPEN! 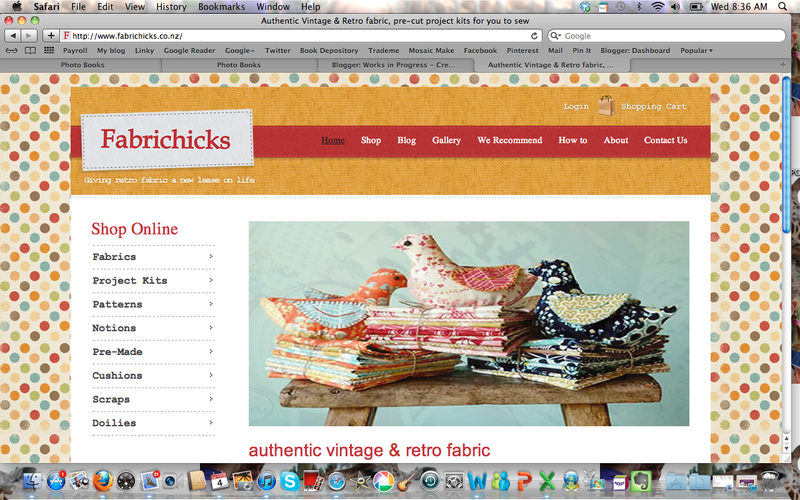 This is is Fabrichicks, our wee shop where we give retro fabric a new lease on life. threads, lace, ric rack, and especially vintage sheets! 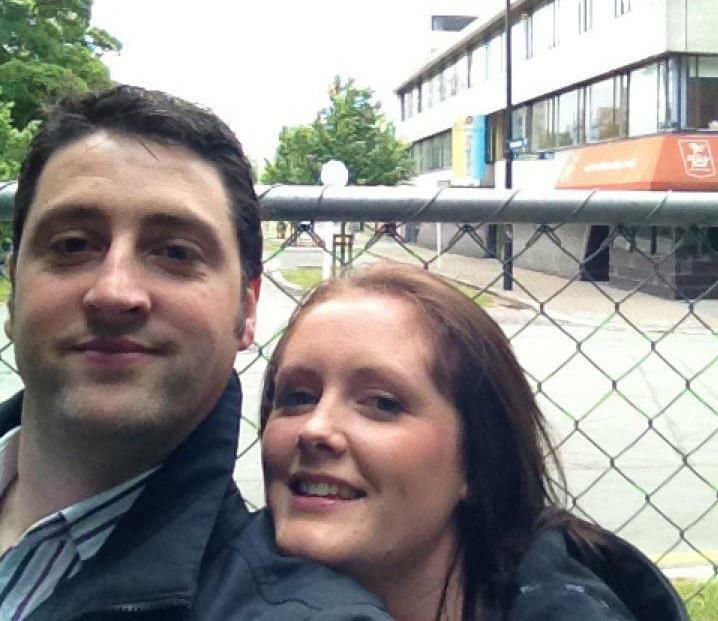 This is my friend Kate and her husband Craig. and we are so excited to be ready to open. and running our household. We both love to sew and collect fabric! and we are hoping that with your support this is something we can do! and we will be loading them bit by bit, but we've got a taster up of what's to come. We have a lot of doilies that we dyed ourselves still to load up in the next few weeks too. for what is being loaded and jump in quick. which we will sell as kits. This hot water bottle is one of them. and kits will be available if you want to make what I have made! and come back here tomorrow, I have a vintage sheet jelly roll to give away! So so excited for you Deb... and trying to be strong and avoid temptation at the same time... some of those fabrics have my name written all over them, can you not read it?!? Woo hoo......love vintage! And if you ever feel the need to sell other vintage finds I am your girl. I will be watching ............................and buying!!!! Best of all the luck in the world. AWESOME. I love the idea, and also the design of the site! I'm supposed to be being frugal the next few weeks, but that wee tiger/lion panel might need to be mine! Congratulations I'm sure it's all going to go really well ! That's so exciting Deb! Best wishes for huge success. Deb I am so excited for you both, what an awesome venture! I can't wait to see those dyed doilies loaded up - and kits for your tutorials - eek!! exciting!! Congratulations!!! It looks absolutely fantastic! I thought if you wanted am happy for you to use any of my images of quilts made from sheets. I know you have heaps but inspiration for people is always helpful yes?? This all looks so wonderful - really delighted for you both! Very exciting Deb! I will be checking it out! Wow Deb! It is awesome!! Love it and well done! congratulations Deb, this is so exciting. wooohoooo! You amazing woman you! Fabulous news, good luck I know it'll be wonderful. I popped in to leave you and address of a shop here in Dunedin I thought you personally might like, just cos you love to stitch. http://www.stitcheryroom.blogspot.co.nz/, Keep warm. Oh Congratulations on the shop! That's a big step! I especially like your profile pic! The shop looks great DEb, well done!! Congratulations on your new shop Deb! Love how you've set up the website, very user friendly. I shall be back often to see what you add.